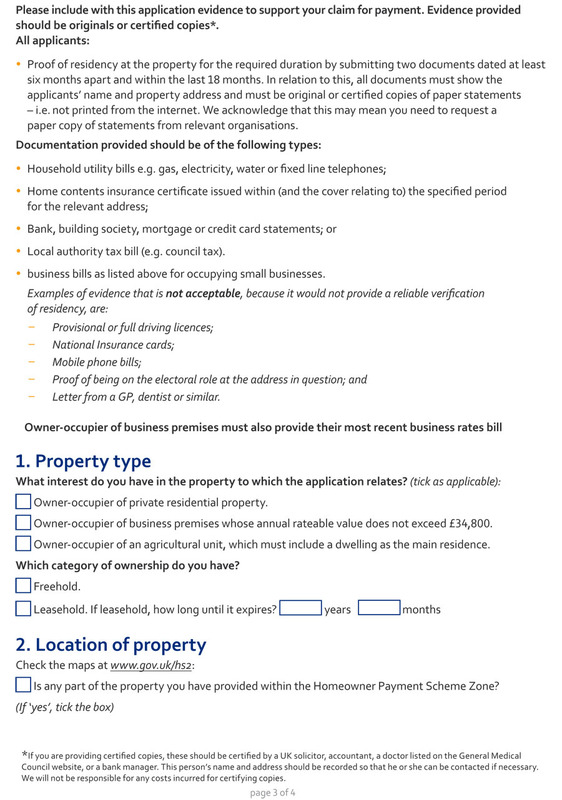 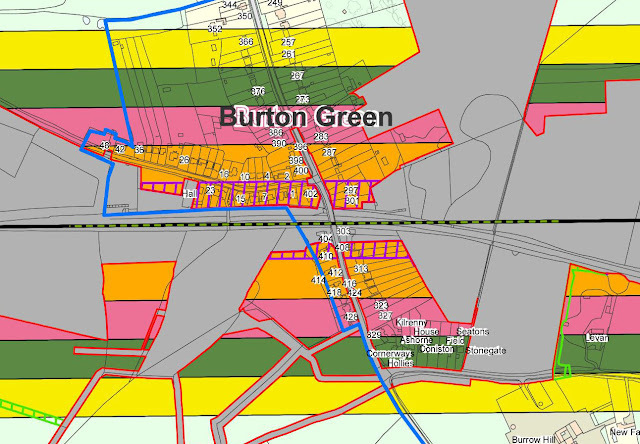 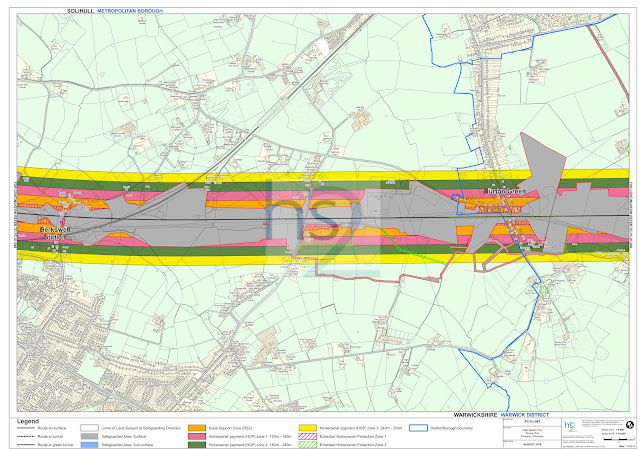 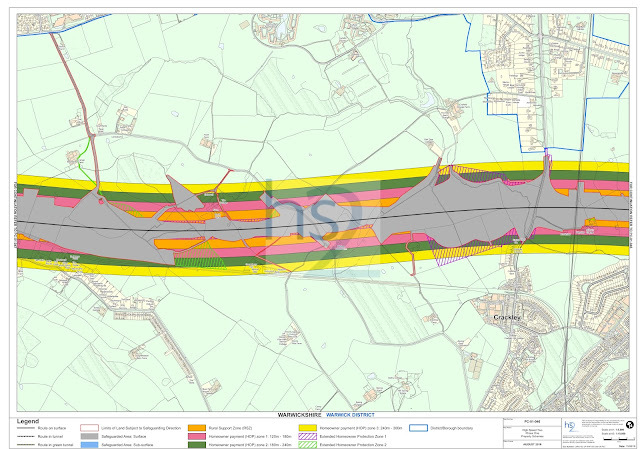 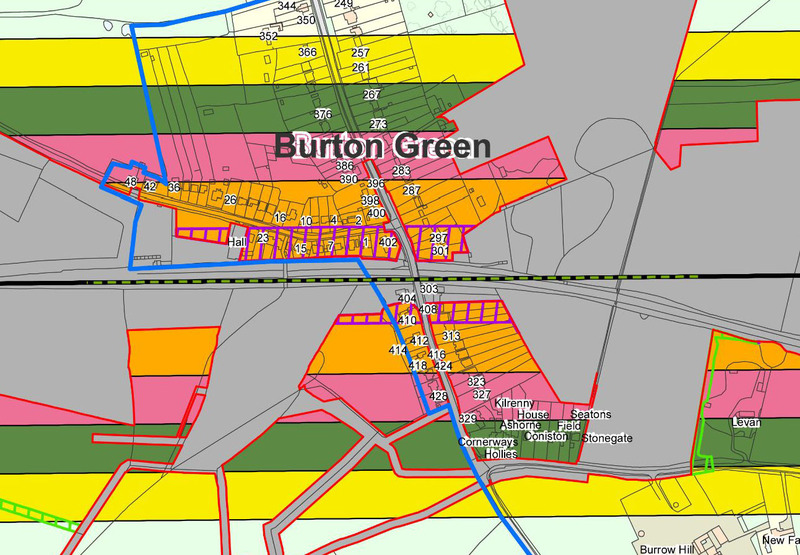 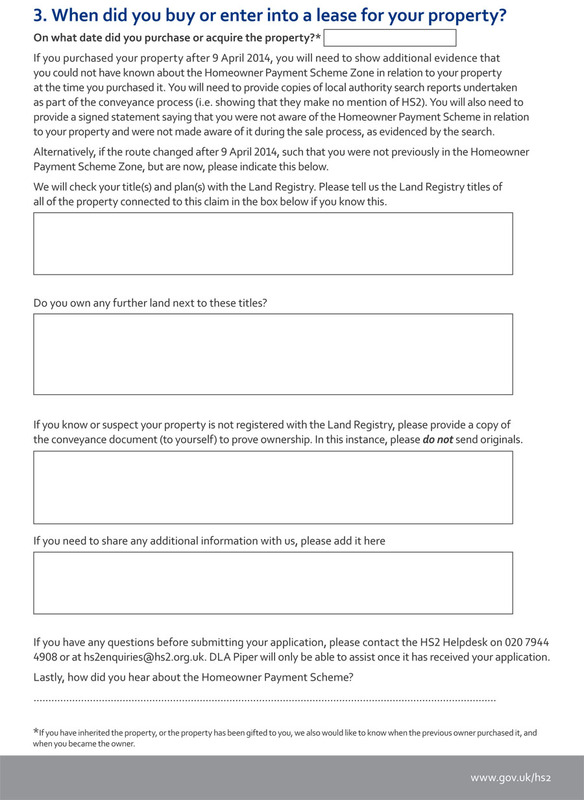 "To be eligible for Homeowner Payment Scheme launched for the Phase 1 part of the route last month, your property would need to be within the homeowner payment zone. 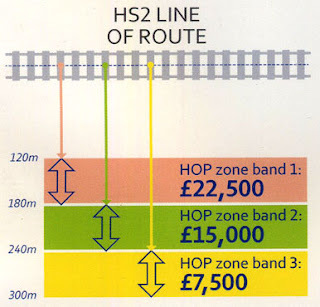 However, please note if your property is within both RSZ and HOP zone it is not possible to claim the cash offer and a homeowner payment. 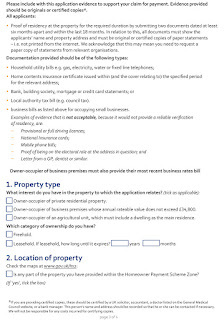 We will only make one payment under these discretionary property schemes. 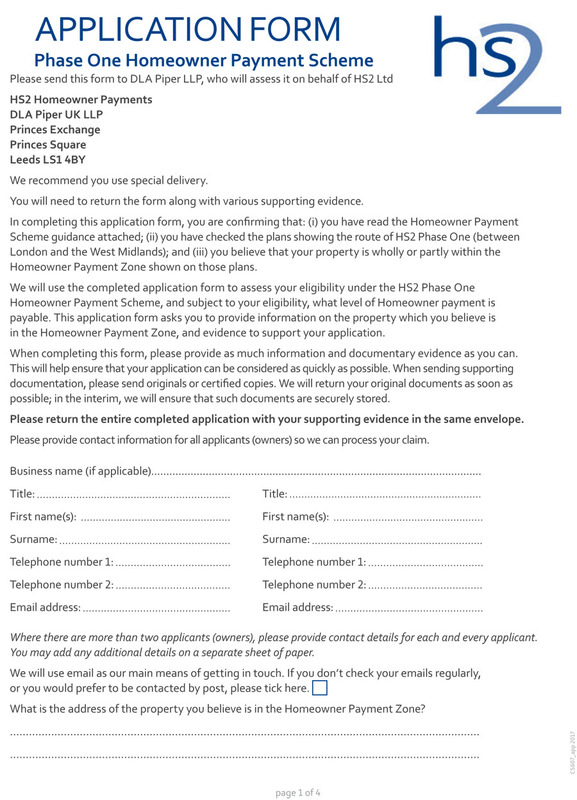 I can confirm that if the line were to move after a resident received a homeowner payment, they would not be required to pay back the money. 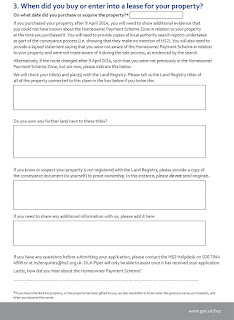 The only time we might want this money back is if a resident subsequently applied to the Need to Sell scheme and were successful, in which case we would recoup the homeowner payment by deducting the value from the Need to Sell offer price. 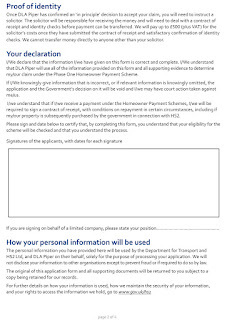 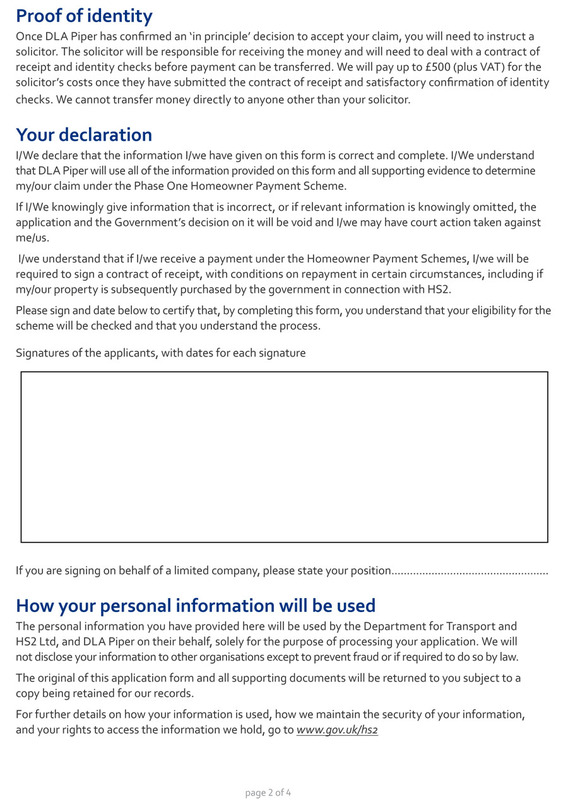 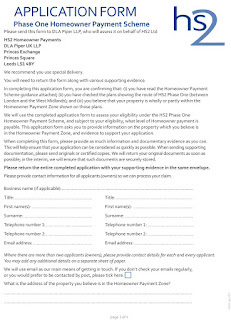 Further information on the Homeowner Payment Scheme can be found at the following link: https://www.gov.uk/claim-compensation-if-affected-by-hs2/homeowner-payment-scheme, or if you have further queries you can contact our Helpdesk on 020 7944 4908 or by email at HS2enquiries@hs2.org.uk. "